Slip and fall accidents can happen anywhere — in a public place such as a city sidewalk or subway platform. They can occur on private property — the walkway outside a neighbor’s house or the aisle of a supermarket. In most situations it is the legal responsibility of the property owner to keep these areas safe from potential hazards that can result in slips and falls. If you have been injured as a result of carelessness or negligence on the part of a property owner, you have a legal right to compensation, either through an insurance claim or personal injury lawsuit. Therefore, it is a good idea to retain the services of an attorney who specializes in personal injury lawsuits. In most cases, your initial consultation is free and, if you choose to proceed with a lawsuit, your attorney will handle your case on a contingency basis. The advantages to hiring a personal injury attorney are many, the primary benefit being that he or she is knowledgeable about the law as it pertains to a property owner’s responsibility to keep property safe and free from hazards. Additionally, a personal injury attorney is an experienced negotiator and can help to get you the maximum monetary award to which you are entitled if your case goes to court or if there is an out of court settlement with the defendant’s insurance company. In general, hiring a personal injury attorney will help protect your rights and claims during every step of the lawsuit process. If you have been involved in a slip and fall accident in Rapid City, South Dakota and the surrounding areas, you’ll need the services of a law firm that specializes in personal injury cases. 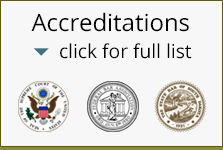 The Rapid City Law Firm of Gregory A. Yates, P.A. can offer you personalized, compassionate advice and counsel and will work diligently to achieve the best possible outcome for you should you decide to sue for damages. Greg Yates and Michael Shubeck of Rapid City Lawyers have more than 40 years of litigation experience between them, and have won major awards for clients who have been involved in personal injury lawsuits. In the State of South Dakota, you have the right to bring a legal action for physical and medical injuries if you have been injured in a slip and fall accident. Hiring a personal injury attorney such as Greg Yates and Michael Shubeck can make a huge difference between getting the monetary compensation that you need instead of a less than equitable settlement that leaves you with lots of out of pocket costs. The Rapid City Law Firm of Gregory Yates has successfully recovered millions of dollars for personal injury victims through out of court settlements, awards and jury verdicts. If you have been involved in a slip and fall accident due to dangerous conditions that were the result of carelessness and negligence, please contact Rapid City attorney, Greg Yates online or call to schedule your initial consultation.